With contributions by Timothy Keller, R. Albert Mohler Jr., J. I. Packer, and Robert Yarbrough. General editors Christopher W. Morgan and Robert A. Peterson. Both outside and inside of the church, many people today are increasingly uncomfortable with hell. They wonder: How could it be fair to punish anyone for eternity? Will Jesus really condemn millions simply for not believing the right things about him? Isn’t God a God of love, not vengeance? The top-notch contributors to Is Hell for Real or Does Everyone Go to Heaven? tackle these and other questions with an even-handed survey of the Bible’s teaching on this difficult subject. Together, they present a careful case for upholding hell, showing that it remains central to a right understanding of God, the gospel, humanity, and God’s purposes for the world. 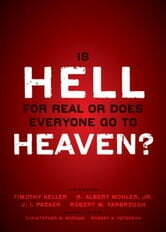 Useful for group discussion or individual study, Is Hell for Real or Does Everyone Go to Heaven? 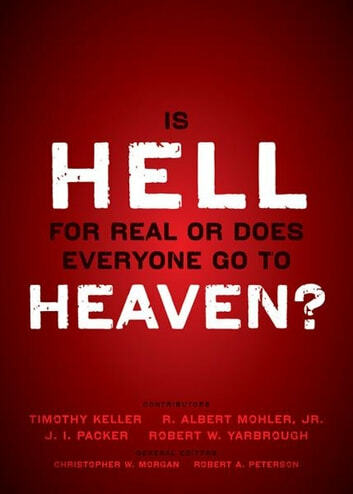 provides an accessible introduction to the historic Christian doctrine of hell. Books related to Is Hell for Real or Does Everyone Go To Heaven? Where Is God When it Hurts/What's So Amazing About Grace?